There’s no place in the USA that doesn’t have some species of ragweed plant. Here in Central Texas, we have mainly two kinds of ragweed. One is the short plant (pictured above) and the other is the tall plant (which can get upwards of 10 feet tall). Ragweed pollen can travel by wind up to 400 miles. The short plant can produce over a billion particles of pollen from one plant, and ragweed blooms up to three months long! Scary, considering that when you find one ragweed plant, chances are it has a multitude of cousins living in the same field. The pollen count is the highest each day between 10 AM and 4 PM. Because pollen is airborne, during hot, dry, and windy weather you will see dramatically more pollen than you would in wet weather. How high is the pollen count where you live? You can check this site to find out what’s blooming in your area: NAB Pollen counts. In Austin, it’s pretty high, and I suspect that the area around our neighborhood is extreme (considering that we seem to be flanked by fields of short ragweed on three sides). This year, the ragweed started blooming three weeks early and the highest pollen count is usually around October 1st. I’m pretty sure they are correct in this calculation because my husband (who is the poster child for ragweed pollen allergy) was laid up from Friday afternoon through Saturday evening. We have been suffering drainage and scratchy throats – and even the babies have been snotty for weeks. It seems none of my family has escaped fall allergy season. Not surprising since 75% of people who have allergies are allergic to Ragweed. Just in case you didn’t know, Ragweed does NOT have a yellow flower – they are light green and almost blend in with the leaves and stalk of the plant. Many people are incorrect in blaming the plumed Goldenrod weed for their ailments during allergy season because they bloom at the same time of year. Check out the images of Goldenrod on Google to educate yourself more about the beneficial weed (that bees and butterflies rely on during the fall). There are many different species of goldenrod, so not all of them look exactly alike. Even though there’s nothing you can do to prevent BEING allergic to certain grasses, trees, and molds, you can try a combination of the following things to help you prevent an allergy attack, or worse: a sinus infection. Sinus infections are serious and rarely they can even become deadly. No one likes to suffer from nasal and bronchial misery, so I thought I would share some of our family secrets for enduring through the Ragweed season. Ragweed seems to be one of the worst culprits for our hardest-hitting sinus issues, followed by pine and cedar pollen (bad news if you live in Houston or Austin), mold, and animal dander (my husband can’t even be downwind of any sort of livestock). Try to blow your nose rather than inhaling all that drainage (getting rid of it prevents infection) – I have 2 in my family who are notorious for staying sick longer because they don’t get rid of the gunk! If you happen to buy any of these recommended products, you can find most of them at Vitacost. They have sales all the time and they ship everything free if you purchase over a certain amount. They bubble wrap all the glass bottles they send, and I haven’t ever had a problem with anything breaking. Their prices are often lower than your local stores, too. I know I sound like an advertisement, but I use them myself, and honestly wanted to pass on the referral link to you — because our family can benefit from a few extra dollars for elderberry syrup, herbal teas, vitamins and allergy remedies! This is the ONLY referral link in this post. Have any good tips for preventing sinus infection, relieving allergy symptoms, or keeping the sneezes at bay? I’d love for you to share them in the comments! We can use all the help we can get! Lavender Oil is really suppose to be super good for allergies. 🙂 We got rid of our carpet and it really helped us. Something I have found that totally helps the itchy-face moment is very hot water. Applying very hot water (do not scald yourself!) to the entire face just does the trick for me. I either hit the showers and hold my face up to the downpour, increasing the heat gradually, OR I lower my face over a running faucet and use a washcloth spread over my cupped hands to continually lift the soothing hottish water up to my face and hold it there for a moment, then lower, breathe, and repeat. You must keep this up for about ten minutes or so. At first, you may notice an increase of itching and congestion. But once all that stops, you may stop the treatment and will be considerably more confortable for HOURS. Because histamines (which facillitate the allergy reaction, and which antihistamines block) rise to the surface of the skin when you heat it this way. After about ten or fifteen minutes, your supply of histamines is depleted and you body takes hours to manufacture more of them. When I do this, I also follow up with a light lotion on my face, even though I enjoy oily skin, because it forms a barrier between me and the pollen. If you’ve ever seen magnified pollen, you know it looks like a cactus. No wonder it bothers us! With these two treatments, hot water and lotion on the face, I can be lots more comfortable every day. Not perfect, but not chemical, either, if the lotion is pure. Whew…thanks for this post! I’m living in NorCal in an area where both fields of crops and ocean surrounds me…and I suddenly have these new plants to acclimate to. I’ve been to the allergist for testing (because I’m having some MAJOR flare-ups) and yeah…I’m allergic to nearly every plant in this county! Ragweed is definitely one of ’em. Thanks for the tips, I”ll be following the advice. I also live in Texas and have terrible allergies to ragweed, oak, pine, and cedar. I’ve found that wearing a dust mask when I have to go outside helps tons, during those periods of very high pollen counts. (I try to stay inside during those times, so I only look like a dork going to and from the car.) I also make it a point to shower at the end of the day. Getting the pollen off of your body, and especially out of your hair, before you go to bed makes for a much more comfortable night, and an easier morning. Just imagine, if you don’t shower, then all the pollen in your hair is going to transfer to your pillow, and your face is literally going to be in it all night! I’d also like to second the recommendation for Vitacost. They have wonderful prices, fast shipping, and good customer service. What I like most though is their range of products. I’ve always been able to find the supplements that I need there, including some rather hard-to-find homeopathic remedies. I recommend them to everyone! Showering after being in the grass is a MUST. Having two allergy sufferers in the house, I know all too well you’re pains! While I don’t have a whole lot of preventative advice, I can offer this “relief”. When anyone in the house gets a headcold or my daughters suffer allergy attacks, we don’t use tissues — we use alcohol free cheap diaper wipes. The mild moisture helps prevent the chaffing from repeated tissue use and no alcohol means it won’t dry you out and most have a very mild moisturizer to help protect that sensitive skin. Thanks for your post. We have ragweed and cedar allergies too. Living in Austin and having allergies does make it tough to go outside. 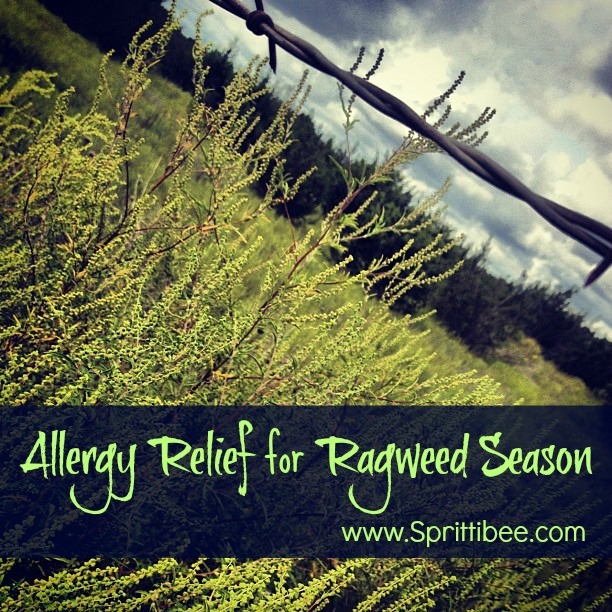 Last year we started taking the Ragweed Serum that is made locally. We start in late Juky, following the directions: you start with one drop in a small amount of water and each day you add one drop until you reach your tolerance or 15 drops. It has helped. There is also a serum for Cedar a d we will start that in late October. We also add Easy Breather by Herbalogic which is s local company as well. Easy breather is a blend of chinese herbs that assists the respiratory system during allergy season. People’s pharmacy carries both of these and I would highly recommend looking into them. Our incidence of sinus infections and bronchitis went down quite a bit after adding these two things to our list of things we do during allergy season. We also do many of the things you suggest as well in your post. I live in Arlington, TX. I’ve been allergic to ragweed since mid-July this year. Now it’s almost mid-December and there’s no sign my suffering will come to an end even if it seems relieved. I’ve been using Flixonase nasal spray and Naphcom A eye drops for nearly five months. I’m worried about the side effects of these medicines. I feel uncomfortable in my eyes. Possibly high eye pressure caused by the eye drops. I don’t know how to do now. Could you please help me? My email address is [email protected]. Thanks. Hi there. I read your comment. You need to know I’m not a doctor, but I can only suggest some things I do to get rid of my own allergy symptoms. I don’t use nasal sprays or long-term chemical medicines and only use over the counter drugs when I am very sick and have exhausted all homeopathic remedies. We have had a chest cold recently that was particularly bad and I have used quite a few old prescriptions and over the counter items to help with it, but my main line of defense has been vaporizer steam, steamy showers, honey for my throat, the essential oil Frankincense applied as my oil book directs and diffused, swishing with coconut oil to remove toxins from my body (oil pulling), and taking homeopathic drops and supplements and vitamins. Also not eating sugars or wheat (or milk when you have excess mucous) helps correct my immune system. We eat a really clean diet – mostly we follow Weston A. Price nutritional guidelines and we avoid sugar as much as possible (only a moderate amount of maple syrup, honey or stevia). Sugars are an immune killer (highly suggest watching the documentary “Fed Up” and reading the book “Sugar Blues”). We also limit our milk intake because it is supposed to cause extra mucous in the body and has hormones and sugars. Raw milk would be an exception for the most part, but a lot of places it is very hard to get and expensive. If you are eating well, getting rest, moving your body (exercising) and getting fresh air, and you are still suffering greatly from allergens, I highly suggest finding a local chiropractor who practices in nutrition therapy or overall wellness. Mine is awesome. He suggests nutritional things I need based on muscle testing and has been able to pinpoint food allergens that have drastically reduced my allergy symptoms. I also put my cats outside (which may be something you won’t consider if you have indoor pets, but it has helped my family greatly to do so). If you regularly bathe your animals and keep them clean, this can also help. Changing your indoor filters and vacuum filters can also help – as can removing your carpet and getting a solid surface flooring and regularly cleaning your sheets and fabric furniture. Taking tinctures that can help desensitize you to the local trees and pollens can also help. During allergy season trouble, I often will take a Texas trees liquid drop that you can put in your water daily. You can get many of these things at People’s Pharmacy, HEB, Central Market, Whole Foods, Natural Grocers, Vitamin Cottage, or Vitacost and Amazon online. This is a less invasive and holistic method than taking chemically produced allergy shots given by western ear-nose-throat doctors. I took shots as a child and know very well that allergy shots are painful and a pain to deal with – as well as expensive. So are steroid shots and prescriptions and the down time from getting pneumonia and bronchitis is the pits. Been there, done that. I have not felt as good as I do now in all my life. I don’t miss western doctors at all. I almost exclusively use my chiro for everything. Even common colds and illnesses because it works for us. We haven’t been to the doctor other than ER visits for minor stuff that requires stitching like cuts (I have 3 boys!) in years. I don’t take flu shots and haven’t for well over a decade and have only caught the flu once in all those years. Eating healthy (plenty of healthy fats from animals, butter, coconut oil, avocados – no refined sugars – no wheat – very little processed foods) has also helped me lose weight and fight off sickness so much better than I did in the past. My kids also are resilient and rarely require medical expenses other than our daily vitamins and supplements. We would much rather put our money towards organic foods and health-food items than give it to western doctors who all seem to just throw prescriptions at us that don’t get down to the heart of the matter. The other benefit of eating healthy for us has been a decrease in food allergies and sinus allergies and a general well-being that has come about because of our commitment to make it a lifestyle choice and not a fad diet. I pray you get relief from your ailments – I know what suffering from sinus stuff feels like! Godspeed to good health. 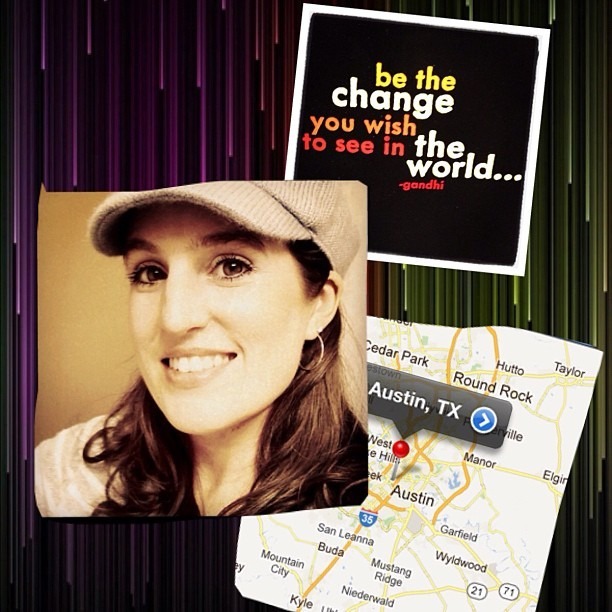 I like your core values and I am a Texan as well! Thanks for blogging. I am debilitated most years due to ragweed allergies. I have trouble breathing, itching, dizzy, CONSTANT sneezing, CONSTANT nasal drip, CONSTANT watery eyes, and super tired! Several years ago, I began using a ragweed tincture from Wholefoods and now available at Vitacost. This alleviated the symptoms considerably! Hope this helps. No OTC meds ever helped and no RX meds ever helped me either. I do use a netipot and it helps temporarily. Last year I gave in and went to get a steroid shot. The older I get the less I can fight this allergy. If the government can eradicate the boll weevil, can’t we eradicate ragweed! HA!